Right now, President Donald Trump has the right to spike the football – at least a little bit. US Attorney General William Barr released a summary of special counsel Robert Mueller’s report on Russian interference during the 2016 election, results that took enormous pressure off the president and his family. Yet just as Trump should be riding a wave of generally good press, his administration seems to be looking for ways to inflict wounds on itself. On Monday, the Justice Department announced that it would back a full invalidation of the Affordable Care Act, also known as Obamacare – a law that’s become pretty popular over the course of the past couple of years. 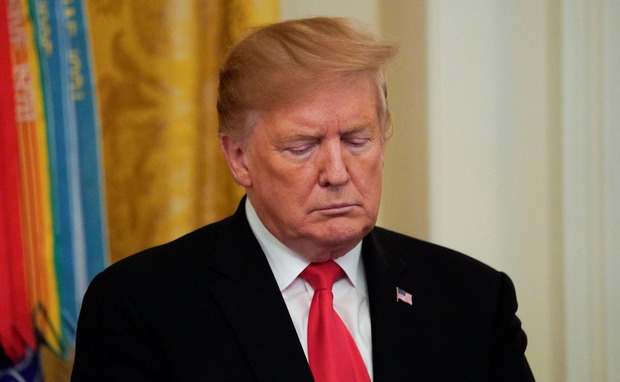 This basic pattern – Trump or the White House scores a win or catches a lucky break, but quickly wastes the opportunity – has repeated itself time and again. This bad cycle is part of a broader, flawed strategy – one that could end up sinking the president’s re-election campaign. Trump’s basic political strategy seems to be to draw a hard line on immigration, be vague on other parts of policy while farming the specifics out to other lawmakers or members of his administration, dominate the news cycle with controversy, and focus hard on his opponents’ weaknesses. This was a solid strategy during the 2016 GOP primary: Trump was able to carve out a base by going hard on immigration while chucking other parts of conservative (especially economic) philosophy – and keeping his primary opponents from getting media coverage by constantly generating wild new stories about himself. That strategy worked well enough during the general election, too. Trump’s menu of policy proposals worked for swing voters in the Midwest, and Trump (who has had low favourability ratings for some time) correctly calculated that he could win a mud fight with a baggage-laden Hillary Clinton. But those same strategies don’t work as well for a president. Beating up John Kasich or Clinton just doesn’t land the same way when you’re not actually running against those people. And when Trump generates a controversy out of thin air, it doesn’t deprive an opponent of media coverage – it just makes him look bad. Farming policy specifics out to the broader GOP was a good idea when he needed to convince sceptical Republicans to join with him, but it’s not as helpful when those same Republicans try to repeal reasonably popular laws. This strategy has encouraged Trump to perform the political equivalent of stepping on a rake on multiple occasions. Trump could have used his early political capital to retool unpopular parts of the Republican agenda, pushing his party in a more populist direction on economics, and he could have amassed more political capital by taking credit for a solid economy. Instead, he spent his first two years trying to repeal and replace the reasonably popular Affordable Care Act, passing (at the time not-so-popular) tax reform, getting Brett Kavanaugh onto the Supreme Court and trying to get money for a border wall via a government shutdown. Justice Neil Gorsuch’s confirmation was a reasonably well-regarded victory, but most of the president’s major pushes were unpopular. And when the Congressional Republicans tried to push the less-popular parts of their legislative agenda, including the ACA repeal, or when Trump followed his combative instincts (as he did in the shutdown fight), he created real problems for himself.